Together we can make sure Australians of any age can ride on the footpath. In Victoria you can only ride on the footpath up to 12 years old and 16 years old in NSW. If you are a young child you are able to ride on the footpath in Victoria, but as soon as you turn 12 you must move to the road. This forces children who are still building their bike skills and confidence to mix it with traffic and trucks. It discourages them from riding to school and living a healthy, active lifestyle. It also divides families – a 12-year-old cannot ride with their 11-year-old sibling on the footpath, they must both go on the road. There are also times where adults should be able to ride on the footpath. Not all of our roads have appropriate bike infrastructure or places to ride. Allowing adults to ride on the footpath means that less confident riders can avoid pinch points and merging with traffic, reducing their risk. NSW recently changed laws to allow children up to the age of 16 ride on the footpath. While this is a positive step, Bicycle Network would like to see people of all ages able to ride on the footpath. All other states in Australia allow people of all ages to ride on the footpath, it’s time VIC and NSW caught up. 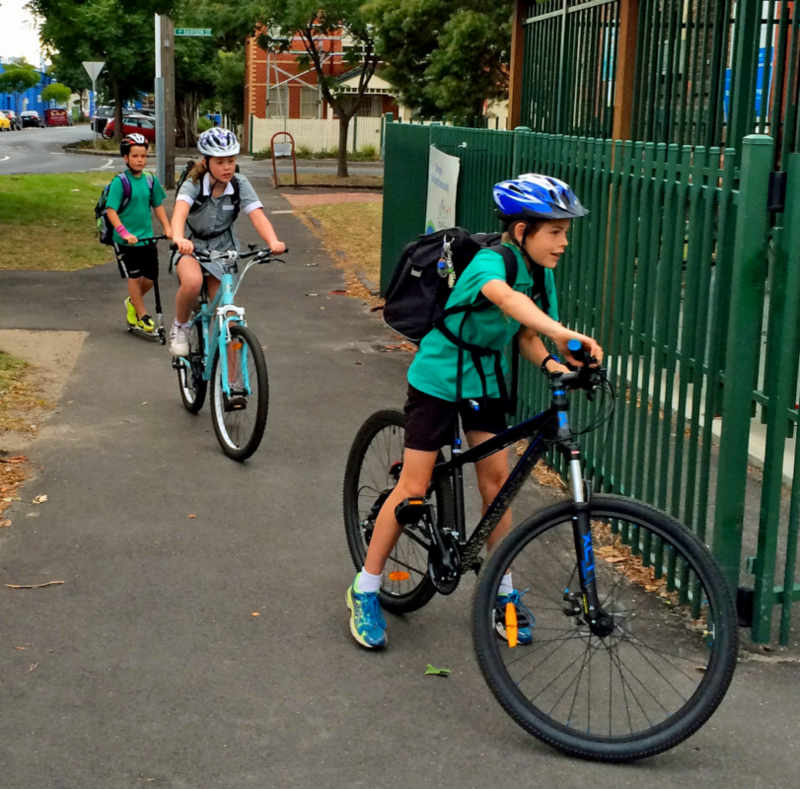 Research shows students up to the age of 16 are much more likely to take risks adults wouldn’t when riding on the roads making footpaths the best place for younger riders. The same study also showed that children until adolescence have a difficult time doing a cognitive task and a motor task at the same time – meaning they can be slower to react to all road situations. Emotion and excitement are linked to risk taking behaviour – older children experience more excitement and less fear than the younger children and took significantly more risks than younger children. Allow people of any age to ride on the footpath in all states of Australia. We need to make Australia a place where everyone feels comfortable and confident to ride a bike wherever they want to go. Currently, our road networks are largely configured for the movement of cars. An easy way to get more people riding to school, work and the shops is to make it more appealing to ride. By allowing people who may be less confident to ride on the footpath, we’re creating a connected network where the existing lane, path or infrastructure is not practical to use or non-existent. It also means that children, regardless of their age, can get to where they want to go without having to pedal on the road. Anyone would be able to ride on a footpath wherever they are going. It not only works in all other states, there’s also plenty of local examples where bike riders and pedestrians share spaces and paths coherently. 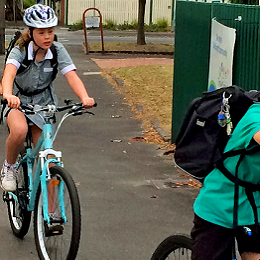 Children up until the age of 16 can now legally ride a bike on the footpath in NSW. Pressure to increase the age of footpath riding continues in NSW thanks to help from Independent Member for Sydney Alex Greenwich. Together we can raise the age of footpath riding in Victoria and NSW. Call and write to decision makers. 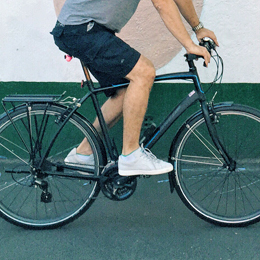 Become a member today and together we can make it easier for more people to ride.